This ladies 14K gold Celtic knot ring has a filigree eternity band. 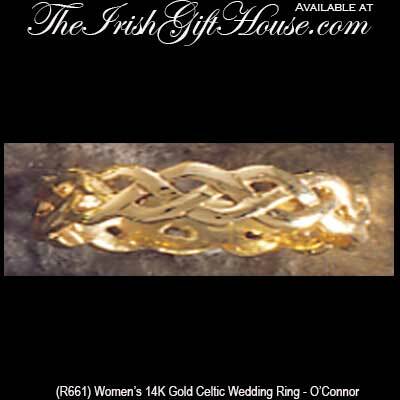 This women's, 14K yellow gold, Celtic knot ring has no beginning and no end. The 1/8" tall Celtic wedding band is gift boxed with the Celtic knot history and was made in Ireland by O’Connor Jewelry in Dublin, Ireland.